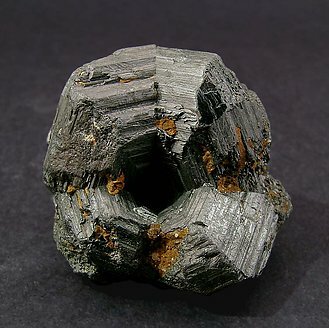 A magnificent cyclic twin from the classic Magnet Cove locality. The perfect twin! A floater as the base has recrystallized. The typed Schortmann’s Minerals label also has some handwritten notes made by Folch.